I went on another set of field trips today. This time, it was with my world civilization class. We met in front of Astor College and took the Tube to Tower Hill. 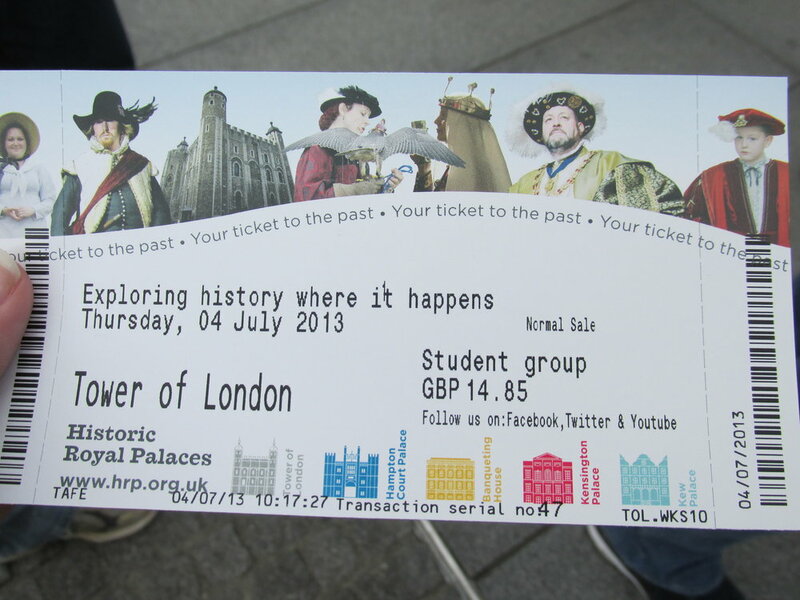 After we arrived, we got our tickets and proceeded through the gates to the infamous Tower of London. It was fitting, I thought, for us to be visiting a legendary prison on Independence Day. As it turned out, the whole day ended up being all about freedom. While at the Tower, we had the opportunity to see the torture chamber, the Bloody Tower, the Crown Jewels, the Traitor’s Gate, and several other fantastic sites. I took a lot of pictures. What surprised me, however, was the lack of torture devices present. The assumption is that torture was prevalent throughout the ages, but that was not at all the case. 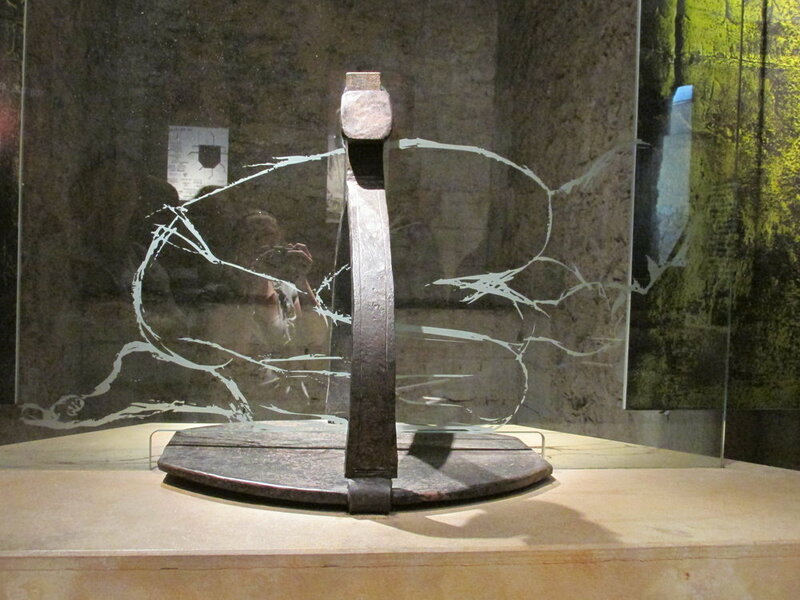 According to placards at the Tower, torture was rare and was used only in extreme cases. 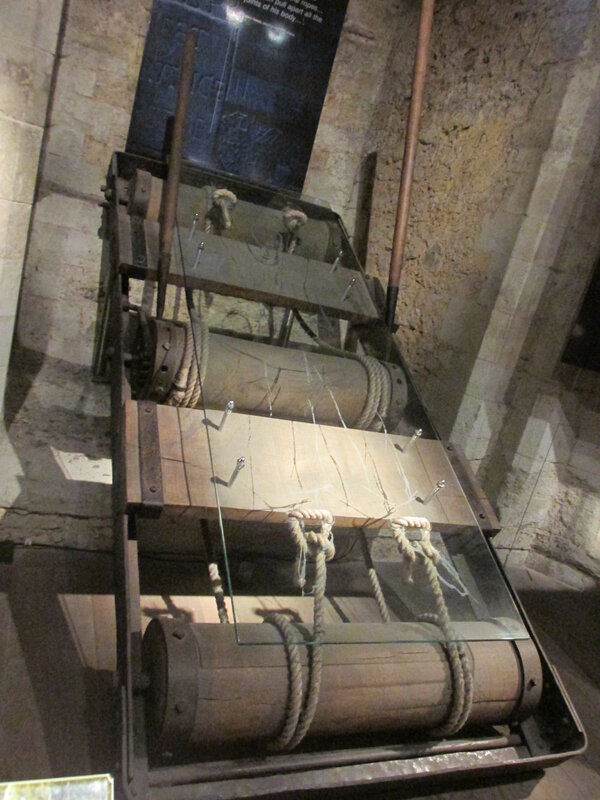 I guess it makes sense that there weren’t many torture devices there after all. Based on the information I gathered from the trip, I realized how truly blessed I am to live in a world where I’m not put on the rack for saying the wrong thing. So many of the freedoms I take for granted are ideas that have gotten other people put to death. As much as America bothers me sometimes, I really am thankful to live in the States. More importantly, I’m happy to live in this century. Colleen, Zelda, and I had lunch at Subway. Yes, I know. It was one of the closest restaurants to the Tower, and we had limited time to eat, so we had to make due. I ordered a turkey and cheese on Italian herb and cheese and was surprised to find that it tasted familiar. Lunch, overall, was delicious and cheap. I’ll definitely be hitting up Subway again. My stomach is growling just thinking about it. After lunch, we met back up with Dr. Rickman and took the Tube to our next destination: a walking tour themed around crime and punishment. Once again, I couldn’t help thinking of freedom. 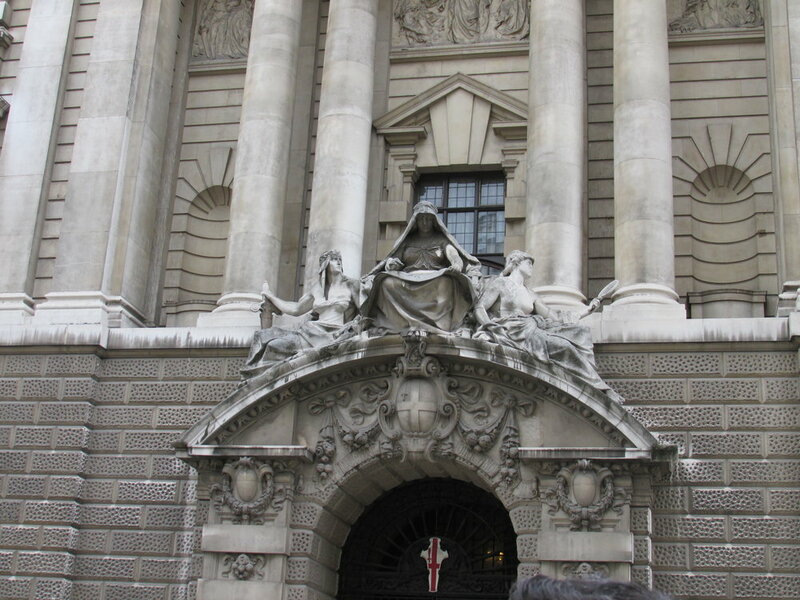 As our guide took us all around London, I thought about how much the justice system has evolved. I considered what America would be like under the rule of a king, and I didn’t like it. The walking tour was entertaining. Our guide was excellent, and I did a lot of thinking. I was worried that I couldn’t survive a two-hour trek after that morning’s activities, but everything turned out much better than I expected. I’m starting to learn that that’s the way life is—most of the time, at least. I’ve always considered myself a pessimist. This trip has been one big learning experience. I tend to think the worst of people, especially people I don’t know very well. Already, I have been pleasantly surprised by some of the people whom I have encountered on this trip. God is doing big things in my life right now. He’s teaching me patience, optimism, and trust. I have freedom as an American and as a daughter of the King. And I’m pretty stinking happy. That’s a pretty big deal for me. Best blog yet! You will make everyone really think about our freedom and what we take for granted. Happy 4th way over there! Thank you! London is bringing out the deep thinker in me.